Dr. Andrew E. Price is a pediatric orthopedist with over 30 years of experience. He specializes in the treatment of Erb’s Palsy and Brachial Plexus injuries. In 1990, Dr. Price co-founded the Center for Briachial Plexus and Peripheral Nerve Injuries with Dr. John A.I. Grossman. For over 20 years Dr. Price has cared for hundreds of patients with Brachial Plexus injuries. He works as part of an interdisciplinary team to most effectively diagnose and treat patients with brachial plexus nerve injuries. Experts in orthopedics, microsurgery, hand surgery, occupational therapy, and neurology work together to ensure that each patient is diagnosed and treated with consideration of all the treatment options and in accordance with the wishes of their family. Dr. Price is considered a world expert in the treatment of Erb’s Palsy and Brachial Plexus injuries. He is also well-respected for his work with pediatric fractures/trauma, foot & ankle problems, sports injuries, and congenital orthopedic problems. Dr. Price offers free services to medicaid patients with Brachial Plexus injuries and developmental disabilities at regularly scheduled hospital clinics. Dr. Price has a private practice with his offices in New York City and Miami, Florida. He has teaching appointments, admitting and operating privileges at New York University/Hospital For Joint Diseases, St. Luke’s Roosevelt Hospital Center, St. Joseph’s Children’s Regional Medical Center in Paterson, New Jersey, and Miami Children’s Hospital in Miami, Florida. Dr. Price graduated from Yale University in 1976 with BA then continued his medical study at NYU School of Medicine and graduated in 1980. His first professional experience was at The Roosevelt Hospital in New York city as a general surgery intern. He spent one year, from 1980 to 1981, there. 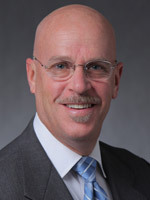 In 1981, he started his Orthopedics Residency at NYU Medical Center and his professional training continued until 1985. While he was at NYU Medical Canter as an Intern, Dr. Price was invited to join Dr. Robert Salter at Toronto Hospital for Sick Children as a Visiting Pediatric Orthopedic Fellow. Before establishing his own practice, from 19885 to 19886, he was a Pediatric Orthopedic Fellow at Newington Children’s Hospital. He is board certified by the American Board of Orthopedic Surgery, is a Fellow of the American Academy of Orthopedic Surgery, The Pediatric Orthopedic Society of North America, and The American Academy for Cerebral Palsy and Developmental Medicine, and The Association for Peripheral Nerve. Ruchelsman, David E; Grossman, John A I; Price, Andrew E; Grossman, Agatha; Alfonso, Israel; Ramos, Lorna E.
Fetal Deformations: A Risk Factor For Obstetrical Brachial Plexus Palsy? Price, Andrew E; Grossman, John A I; Ditaranto, Patricia; Yaylali, Ilker; Alfonso, Israel; Ramon, Lorna E.
Tidwell, Michael; Price, A E; Grossman, John A.I. Dr. Price has lectured at over 25 National and International meetings and symposia over the course of his career. Please contact us if you wish to engage Dr. Price’s lecture services.